The aunts remain in the car, only Sophia and her mother go fetch the cake, just a matter of minutes. They leave the bakery, her mother carrying the box with both hands. In the passenger seat, Juliana, her cousin, has unlocked the doors. Her sunglasses, the open window, and her long-sleeved shirt look incongruous. Juliana has lost a lot of weight since the last time she and Sophia saw each other. While Sophia figures out how to get into the back seat, Juliana, in the front seat, straightens her long sleeves. The two aunts, both with a BMI rating of, at a minimum, morbid obesity, shove themselves to one side so Sophia can get in the car, in the back seat next to them. Sophia's mother insists that she put on her seat belt. Sophia puts it on, adjusts her posture, and feels the belt tighten across her chest. She adjusts her legs, with some difficulty, in the back seat of the car, the aunts grunting with each movement. They all squeeze together. The mother slowly places the cardboard box on Sophia's lap. No sooner does the mother turn around toward the steering wheel than she starts heaping advice on her daughter. The cold box is heavy on the girl's lap. Sophia would move her legs if she could, if she weren't five feet nine inches tall. Five feet nine inches that has turned into five feet nine inches just in her legs. The seat vibrates while her mother starts the car and drives to Juliana’s and the aunt's house. Juliana sits in silence, arranges her sleeves, pulling them down over her hands. The aunts go back to their loud conversation with Sophia's mother. They talk about the party. The heat leaves sweaty marks on the printed material of their clothes around their armpits. Sophia concentrates on the cake inside the box: yes, her cousin's cake sure is pretty. Colored sprinkles cover the cake, the filling has colored layers of colored colors, the color of a rainbow. The cake has what the bakery clerk calls three stories of magenta icing. The weight presses down on Sophia's legs, it hurts. The aunts talk about the appetizers, the party, the invitations, the house decorations, the telephone calls, who's coming to the party, who's not, cursing the no-shows with swear words. "People could still show up, couldn't they?" says one aunt. "But we don't have to see each other just on birthdays." Sophia imagines that her mother has to strain to hear the aunts above the car noise coming in Juliana's gaping window. The mother, driving, watching the streets, the cars, says, "A lot of people are upset. They think it's something for spoiled kids." "And what does not coming mean?" Juliana asks in a soft voice that they change the subject, asking that they talk about someone else. The aunt lowers her voice, goes back to talking about the appetizers for the party, the colored cake they chose, specially colored colored colored for the party. They complain about a long stoplight. The car gets stuffy while they wait under the sun, the heat, the moist cake. The fat legs of the aunt next to Sophia gradually pin her up against the car door. Sophia feels her legs plunging into the aunt's thick flesh, her fat hugging Sophia's rickets. Sophia takes deep breaths, noticing the smell of the lavender air freshener, the smell of the street coming in through the window. Nausea. She lacks air, lacks air, all the air in the car, all the air from the gaping windows is superfluous, she lacks air inside her lungs, she'll never be able to fill her lungs completely with oxygen, she lacks silence. Sophia inhaling and exhaling, repeating to herself that everything will be fine, the moistness of the cake passing through the box, passing through her jeans, reaching her thin legs, reaching her bones. Juliana turns her head around, the seat belt preventing her from turning all the way. Juliana looks at Sophia through her sunglasses. The sunglasses cover half her face and half her expression. With a smile that is literally yellow, Juliana says in a low voice, "Everything okay with you?" Juliana came home less than a week ago. She missed so many classes at the university, maybe the whole semester, she might have to repeat it because of her absences. Sophia missed her cousin in Anthropology IV, she wanted to sleep through all of post-structuralism. The moistness of the cake passes through the box and passes through Sophia's tank top, sticking to her belly. Her cell phone rang on a hot day just like this one. She remembers how that day she was wearing a sweatshirt over her pajamas and got all hot in the hospital but couldn't take it off. Sophia can't remember if the heat was from the day or from the sweatshirt, only that her entire body was sweating. It seems like all that was years ago, but it was just a matter of weeks. Sophia, on vacation, half-asleep at home, got the phone call from the aunts in the middle of the afternoon. They asked Sophia and her mother to come to the hospital. Sophia remembers she was making brownies that afternoon. Her pajamas got dirty, so she put on her sweatshirt over them. The aunts were supposed to be traveling, but they felt guilty leaving Juliana alone. The family was supposed to have traveled together, like they always did. They came back. In the waiting room, tears framed all the talk of what-ifs, putting the blame on everyone everywhere. Sophia lowered her head when the parents asked her why Philip, Juliana's boyfriend, wasn't answering their phone calls. The doctor calmed them down, relieved their worries, they put aside talk of Philip, the worst had passed, Juliana was all right, she was there. When they were little, Sophia and Juliana liked to dance behind the house, next to the orange tree. The aunt had the tree cut down to make room for a bigger garage. Juliana locked herself in her room and cried when she heard about the orange tree. Juliana was always too sensitive. The stoplight turns green. Sophia smiles. The car vibrates from the movement of the motor, the movement of the streets. The smell of the aunts' sweat and her own doesn't bother her. The sultry air in the car, the moisture that Sophia releases into her tank top, on her forehead, around her blonde hair pulled back in a short ponytail, none of it bothers her. The cake is heavy in her lap. Juliana has just asked if everything is okay with Sophia, with Sophia and Juliana, sensitive Juliana, without Philip, but with Sophia and Juliana, and Sophia smiles. LUISA GEISLER was born in Canoas, State of Rio Grande do Sul, in 1991. 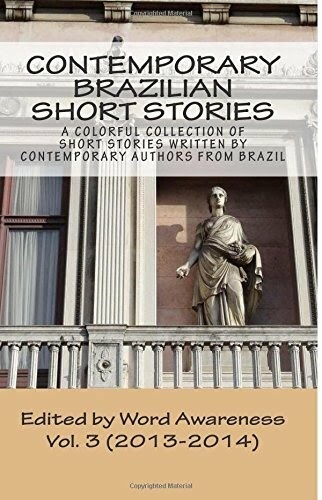 At the age of 19 she was awarded the 2010 SESC Prize for Literature for her debut book, the short story collection Contos de Mentira [Fake Short Stories]. The following year, she repeated the deed in the novel category with Quiçá [Perhaps], which is currently being translated into Spanish, and also made it to the 2013 shortlist for the Jabuti Award. In 2012, she was selected by Granta magazine as one of The Best of Young Brazilian Novelists.